The stylish Trojan Aquarius 5mm Acrylic Bath features an anti-slip surface at the showering end and twin grip handles making it extra safe. 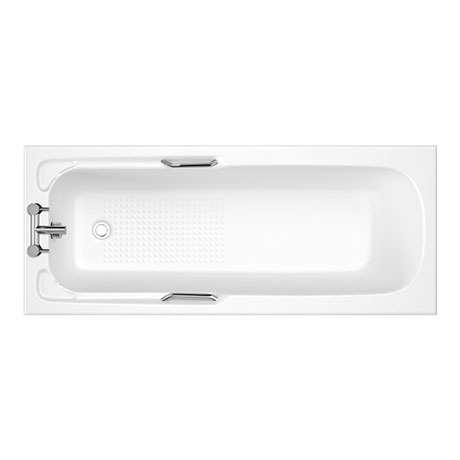 Manufactured from high grade acrylic making the bathtub incredibly strong and hard-wearing. The bathtub comes with a pre-drilled waste and overflow holes, and also includes a set of bath legs. Guaranteed for 25 years for total reassurance. Textured base at showering end of bath, supplied with hand grips fitted.